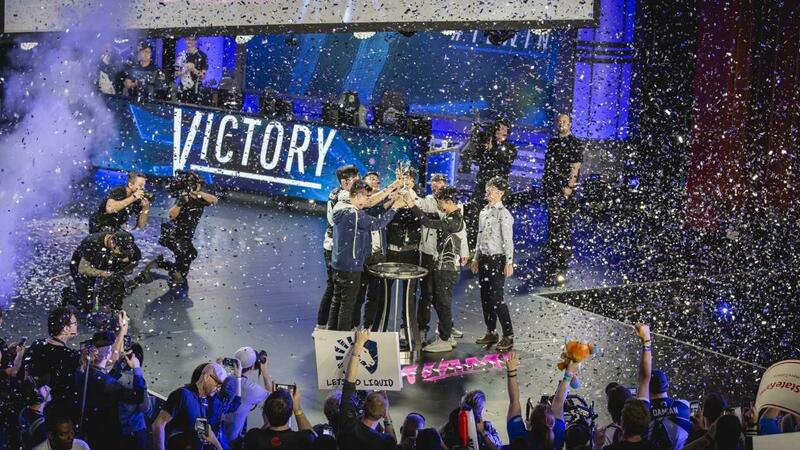 Team Liquid won last year's North America "League of Legends" Championship Series in Miami. A "League of Legends" tournament final this Saturday at the Chaifetz Arena at St. Louis University is expected to draw thousands of esports enthusiasts from around the country. Esports involve multiplayer video games played competitively for spectators, typically by professional gamers. The match will be the last of the two-month North America (NA) "League of Legends" Championship (LCS) Series hosted by Riot Games, the developers of the multiplayer online video game "League of Legends." Team Liquid and Team SoloMid have emerged as the final contenders out of 10 teams and will face off in best-of-five matches. Team Liquid will be looking to win its third consecutive NA LCS championship. Related: What is League of Legends? The winner will earn $100,000, with the losing team taking $50,000. The game will also determine which team represents North America in the annual Mid-Season Invitational in Vietnam and Taiwan in May. It’s the second-most-important international tournament, aside from the world championship. This will be the first time St. Louis has hosted a major esports event. Many local competitive gamers are planning to attend, with some hoping the event will enhance the city’s reputation as an esports mecca. With collegiate esports on the rise, some local university staff members are planning to show up. “You have giant teams like Maryville and Columbia College, which are among the top five teams in North America for collegiate esports,” said Brandon Clark, the head coach of Fontbonne University’s esports program. He added that the National Association of Collegiate Esports is based in Kansas City. Not to mention, Riot Games, the event’s sponsor, has an office in St. Louis. “Having LCS finals come to St. Louis is just another big step in solidifying St. Louis and the Midwest in becoming this hotbed for esports,” he said. Nicholas Chiu, who heads St. Louis University’s esports club, gave tickets to faculty members. He said Saturday’s event has prompted talk about how to expand esports at the university. He is part of a new committee looking into how esports could improve recruitment and retention at SLU. Follow Andy Tsubasa Field on Twitter @AndyTsubasaF. Mizzou’s newest athletes won’t be bruising each other in the football stadium. Instead, they’ll spend hours in front of the screen tapping furiously on keypads. The University of Missouri-Columbia is joining a growing number of colleges and universities adding competitive video gaming — commonly called esports — to its roster of varsity sports. Mizzou announced last week it will form an esports program beginning in fall 2019. St. Louis will get the Olympic spirit come 2016, when it will host the U.S. Olympic Team Trials for men's gymnastics. The event determines which men will represent the U.S. in the Rio de Janeiro Olympics. While it's the city's first time hosting Olympic trials, the city has worked with USA Gymnastics previously, hosting the organization's 2000 and 2012 national championships. Those events decide national champions as well as who continues on to Olympic trials. The NCAA is bringing eight sports championships to the St. Louis area over the next five years. The collegiate athletic association announced a package of playoffs Wednesday that St. Louis will host between 2015 and 2018. The St. Louis Sports Commission prepared the city’s successful bids. Vice President of Events Chris Roseman says NCAA athletes will be competing at numerous venues across the metro area.